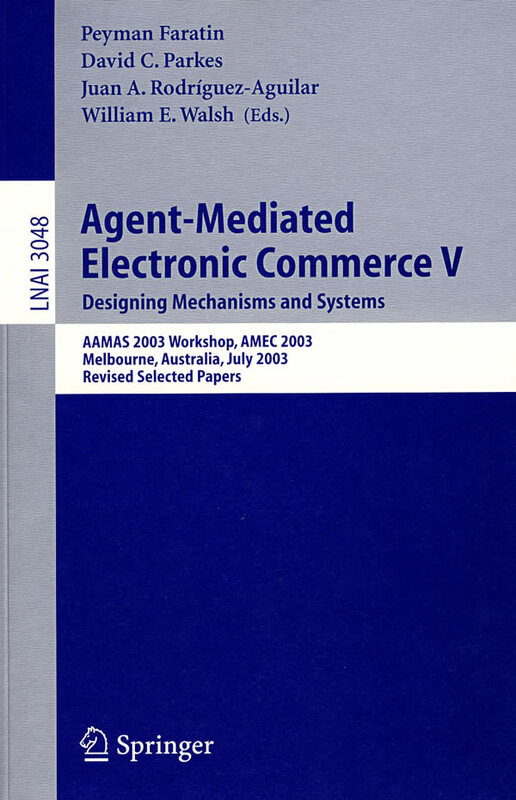 书籍简介: This book constitutes the thoroughly refereed post-proceedings of the 5th International Workshop on Agent-Mediated Electronic Commerce, AMEC 2003, held in Melbourne, Australia in July 2003 as part of AAMAS 2003. The 9 revised full papers presented were carefully selected from 22 submissions during two rounds of reviewing and revision. The papers are organized in topical sections on automated negotiation, systems and mechanism design, and multi-agent markets.